I am creating projects for the 3 year old class on Wednesday nights this quarter, and I thought I would share what we did. The Birth of Jesus is divided into 3 lessons. The first lesson in this series is the angel announcing that Mary is going to have a baby. I created this banner and let the students add heart stickers. With each heart, we discussed something that God gives us each day. God loves us so much, He sent Jesus! Directions are included. Click here to download. I added this front page newspaper. It is great for review and they can retell the Bible lesson. I found some great newsprint paper (link shows white, mine is slightly colored) at my local teachers store. I printed it on this paper and folded it so the title showed when I gave it to them. This is black & white only. Click here to print. Click here to download pictures to color for Birth of Jesus. 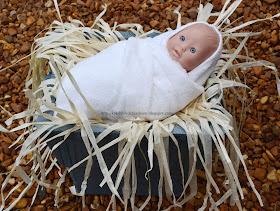 I used this manger with Baby Jesus for these lessons. It's a great hands-on for the students and easy to make. Click here for the post with the directions. 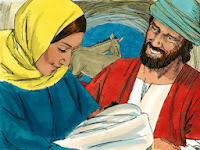 For the first part of this lesson, we discussed Joseph & Mary traveling from Nazareth to Bethlehem. They have loved the maps, and I am not sure why, so I made this map. This includes a stand-up Joseph & Mary so the students can have them travel on the map. I have included color and black & white. Click here to download the map. This is a very simple Tab Book for the Birth of Jesus. As you can see, there are 4 tabs (black & white only). It is to make it easy for the students to be able to retell the Bible facts. The pages can be stapled together to make a book or left separate so they can be shuffled and put in order. Click here to download. I added a cover to mine and purchased Birth of Jesus stickers for them to add. You could use hearts or whatever, and you could have them draw the scene if you don't have stickers. This is basic, but has the smile/frown face to begin the review. The book looks better than the picture! I will let the students use the Dot Markers to mark the smile or frown faces, but they can circle it or let them add a star sticker for something different. My intention is to really talk about how happy Mary was, and we are, that Jesus was born. Click here to download the cover. Part 3 of this series for preschool is the shepherds visiting Jesus. They were so excited to see Him! We used this Star Puzzle to review and for the students to retell what they learned in order. I kept one color star together and cut one color apart for the teacher's visual. The students were black & white on yellow cardstock for them to color. I had theirs precut in baggies. Click here to download. For the shepherds visit, I made the shepherd head coverings for each student. We acted out the lesson using the manger above and the kids wore the head covering home. I had stuffed animal sheep as part of the display also. There are quite a few posts for the Birth of Jesus. You can find them using the search bar on the right. 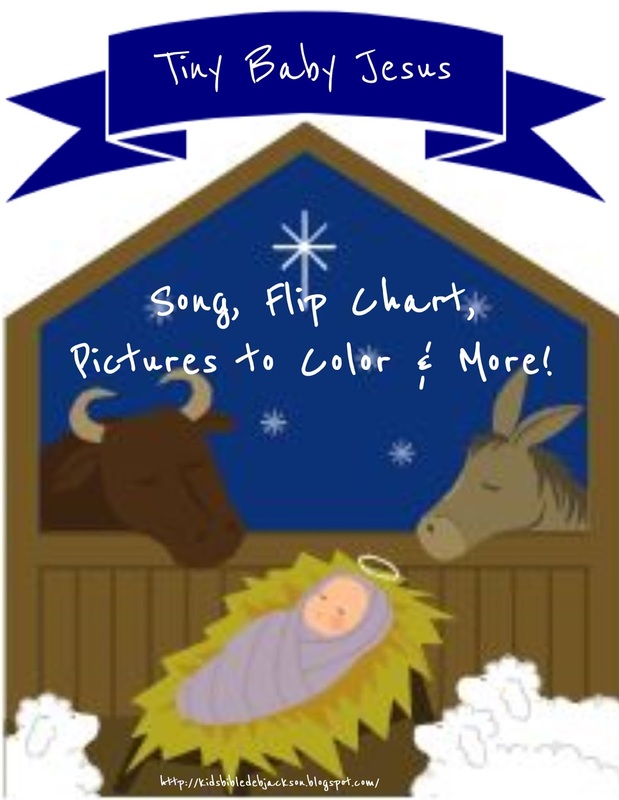 This link includes several ideas & printables for the birth of Jesus. Click here to see the early elementary lesson, visuals & more. These are great! I love that you say, "they love the maps, but I am not sure why". I had never thought to use maps aith my 3 year old class, but maybe I will try! Thanks so much for dharing! Thank you so much for all your time and creativity and generosity in sharing these wonderful resources!!! 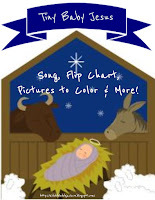 What a great resource and fun way to teach kids about the birth of Jesus. Thank you for sharing at the #Made4Kids Link Party! Love these ideas. Actually, I love all of the ideas on your site for teaching Bible lessons to kids. Great job!